Michelin Primacy 3 ST is an economically priced tyre targeted towards the passenger car category in India. One of the finest mass-segment offerings by the renowned tyre manufacturer, Michelin, the Primacy 3 ST offers very low levels of noise and unyielding safety. Marketed as a tyre with super quiet ride experience, the ‘ST’ here stands for ‘SilenceTuned’. The tyre avails best of both worlds; it delivers a hard wearing performance and at the same time offers utmost comfort to the passengers inside the cabin. The innovative tread design of the Primacy 3 ST enables excellent traction and assists in delivering a consistent performance irrespective of the road surface. Besides promising a high level of grip the unique rubber compound also promises confident braking capability and control at high speeds. Easy cornering and precise steering is maintained aptly on the expressways by Michelin Primacy 3 ST. 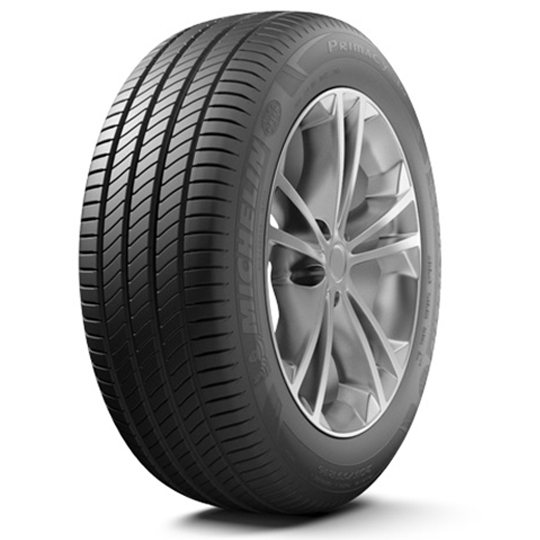 The tyre also ranks high in terms of fuel efficiency, as it acquires low rolling resistance. Michelin Primacy 3 ST is developed using the FlexMax Technology that infuses highly flexible tread compounds which adjust well to uneven surfaces of the road. The chamfered tread blocks maximize the contact patch for an improved stick and also avert distortion when under pressure. The Primacy 3 ST uses the’ Stabiligrip’ tech which in turn enhances better wet weather handling and superior water channelling under water-logged conditions. The circumferential grooves enhance the performance under dry, damp and hazardous conditions. Michelin Primacy 3ST is particularly modified to be highly discreet and noiseless, by ensuring tread blocks of different proportions. The additional tread blocks and shock absorbent sidewalls of the Primacy 3ST proffer a smooth and supple ride to the occupants even on rough roads.